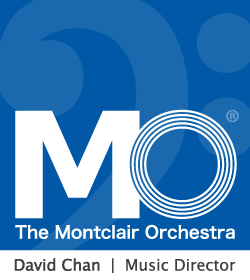 This Sunday evening, the Montclair Orchestra opens its second season with A Shakespeare Evening, presenting music inspired by Shakespeare's plays, interwoven with lines from his works. Local actors will read select scenes while the orchestra, led by David Chan, presents the musical soundtrack for the concert. Music Director David Chan will be hosting a pre-concert discussion, 6:15 p.m. at St Luke's Church, directly before performance. Free to all ticket holders.